This is a response to T-SQL Tuesday #106, Trigger Headaches or Happiness, by Steve Jones. Create a second table, which we’ll call Table_B. This one will eventually become the new Table_A, so design it with your changes in mind. Create a third table, which we’ll call Table_C. This one is like Table_A as it is now, except that it includes an additional identity column, and is clustered on that column. Assuming there’s an existing clustered index on Table_A, recreate that as a non-clustered index on Table_C. Depending on how Table_A is updated, you may need additional columns to track what updates occur. Create a trigger on Table_A. This trigger duplicates all changes in Table_A to Table_C. Looping via a suitable batch size for your environment, write all rows from Table_A to Table_B. Looping again, write all rows from Table_C to Table_B (taking into account the appropriate insert/update/delete logic for your situation). Note where you stopped with Table_C, the “high water mark” for that identity column. Call sp_rename to change Table_A to Table_D, then again to change Table_B to Table_A. From the high water mark, write from Table_C to the newly-renamed Table_A. My favorite part: Drop Table_C, Table_D, and the trigger. The table is unavailable (non-existent, really) between the two renames in Step 6. This is an extremely brief window, but it does need to occur. Also, in order to apply a trigger, the table needs to be briefly locked, which may present a problem. A row is updated in Table_A, and the change is carried over to Table_C. The same row is updated in the new Table_A. Th second change is overwritten with the first change. If the table you wish to migrate has a considerable number of updates and deletes, then this solution may present a data integrity problem. However, for insert-heavy tables, it has proven to work very well. Also, a second trigger on the new table and some additional logic could circumvent the second issue I described, depending on your situation. So there you go – a use for triggers. "when": "editorTextFocus && editorLangId == powershell"
The effect of this is that pressing Shift+F5 while focus is on your PowerShell script file will cause Ops Studio to run that file in the terminal window. As an old SSMS and Visual Studio user, F5 seemed natural to me, and I noticed that Shift+F5 wasn’t already taken. Note that this runs the file, not necessarily what you have in the window. So you may want to precede this with Ctrl+S while you’re working. My gratitude to ck (twitter|blog) for pointing me in the right direction here. When it comes to either Ops Studio or PowerShell these days, I just assume he’s smarter than me. 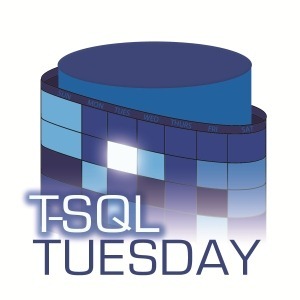 My thanks to Bert Wagner and his chosen topic for T-SQL Tuesday, Code You Would Hate To Live Without. It was just enough of an excuse to dust off the cobwebs here and get back to posting. They’re not earth-shattering improvements, but my real point is that extensions are an often-overlooked feature that can improve your quality of life as a developer. Anytime you find yourself writing the same bit of code over and over, especially if that bit is rather unsightly, you might consider making it an extension. I’m speaking tomorrow evening at Michiana PASS. What’s my topic? Performance, of course! Actually, it’s about querying partitioned tables. Quickly. Because that’s how I roll. But that’s not my point today. Like any good technical community, the success of PASS doesn’t come from the top. Local Groups are the heart of PASS. If SQL Server is relevant to your job, become a part of your PASS Local Group. Or start one, if necessary. Share what you know, encourage your peers, and contribute to the community. And if public speaking is something you wish you could do better, presenting in front of your Local Group is a safe way to dip your toe in those waters. 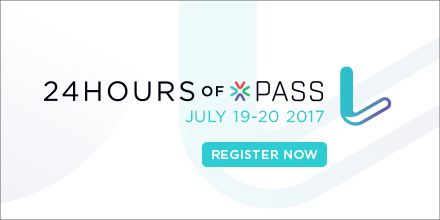 I present a technical session about once a year to IndyPASS. In fact, I’ll be back in September. I’m also now starting to branch out to other Local Groups, like Michiana, to help them grow. As much as I enjoy taking part in SQLSaturdays, I think I might like this more.